My wife loves life. She loves playing tennis, reading good books, drinking coffee in the mornings and cooking delicious food (which works out quite well for me). She eats healthy, exercises several times a week, and has never had any serious health concerns. My wife also has recurring low back pain. As it turns out, frequently recurring low back pain without a specific origin or injury is actually quite common. In medical terminology, this is called chronic non-specific low back pain. Research has shown that as many as 60-80% of active people in developed countries incur low back pain at least once in their lifetime. Treatments for low back pain are as diverse as the different shades of Crayola crayons (I’m talking about the box of 96 crayons with built-in sharpener). 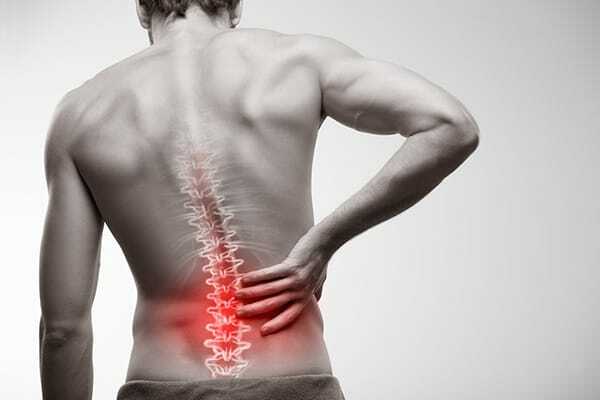 One specific type of treatment that has been used for relief of low back pain is manual therapy. Manual therapy is an umbrella term used to describe any type of “hands-on” treatment administered by a health professional. Examples of manual therapy include joint manipulation (usually associated with a chiropractic adjustment when you hear the joints in your spine “pop”), joint mobilization (gentle oscillating movements administered at a joint), and a variety of stretches facilitated by a health care professional. Active exercise is another type of treatment commonly used in the treatment of low back pain. Active exercise is another umbrella term, and it describes any exercises performed to increase strength or endurance of your muscles. When treating low back pain, active exercises usually target your abdominals and back muscles (also referred to as your “core”). One particular research study I came across specifically tested the effectiveness of manual therapy in combination with active exercise in the treatment of chronic non-specific low back pain. The researchers recruited forty-two patients with chronic non-specific low back pain, and split them into two treatment groups. The first treatment group, we will call them “Group A”, received manual therapy in combination with active exercise for 8 therapy sessions over a four to eight week period. The participants were also instructed to complete specific active exercises assigned to them by a skilled physical therapist. The second treatment group, we will call them “Group B”, received detuned ultrasound in combination with active exercise. Ultrasound is a type of treatment that is used by physical therapists to treat a variety of different impairments a patient may have. Detuned ultrasound is ultrasound that is not actually turned on, however as far as the patient knows the ultrasound machine is humming right along. The reason this was included as a part of the study is to see if even the idea of receiving a treatment improved the patient’s symptoms. Sometimes this concept is referred to as the placebo effect. The researcher’s decided to measure a number of things in this study. Outcome measurements included pain intensity, disability caused by low back pain, fear-avoidance beliefs (the participants’ opinions on how physical activity and work affect their low back pain), and the endurance of abdominal and back muscles. Patients in group A (received manual therapy and active exercise) displayed a greater decrease in pain immediately following treatment when compared to group B (ultrasound and active exercise). Patients in group A displayed less physical disability following treatment when compared to group B. When looking at this study as a whole, there is a lot to like. First, the overall number of participants in the study was great at 42. Patients were also randomly selected and divided into treatment groups with a good number of overall participants. As the number of participants in a study increases, the results gain more weight. It is also important that the participants are randomly divided between groups so that they are similar prior to treatment. One area in which the study could have improved was in the recruitment of their participants. Every participant in the study was recruited from the same rheumatology hospital in Switzerland. This could mean that the participants in this study do not accurately represent individuals with chronic non-specific low back pain as a whole. In general, however, this study was very well done and offered very few weaknesses. This study suggests that the use of manual therapy with active exercise as an intervention for chronic non-specific low back pain is an effective mode of treatment. Balthazard, P de Goumoens P, Rivier G, Demeulenaere P, Ballabeni P, Deriaz O. Manual therapy followed by specific active exercises versus a placebo followed by specific active exercises on the improvement of functional disability in patients with chronic non specific low back pain: A randomized controlled trial. BMC Musculoskeletal Disorders. 2012;13(162):1-11. 9 Comments on Sorting crayons: is manual therapy an effective treatment for low back pain? Thanks for an interesting post. However, it’s also a bit troubling. S4BE is not only a place to share interesting articles or talk about the principles of EBM, but also a place that has a responsibility to provide the readers with information of sufficient quality. You’re a PT student, so you should know the controversies that surround chiropractic therapy or manual therapy. So when you try to tackle subjects that are bordering on pseudoscience providing bad quality studies, there’s a potential for misinformation. This type of study doesn’t sit comfortably with me and it shouldn’t with you. Authors calculated the needed sample size for the ODI score, but failed to reach it and continued the study nevertheless with just 37 participants finishing it. The control group is not adequate and there is no blinding. I understand that proper control group for manual therapy might not even be possible, however, detuned ultrasound is also not the best way. These two procedures are fundamentily different, not only giving different expectations to the patient, but different comfort levels as well, and this is extremely important when talking about pain – the most subjective experience a human can have, that is highly influenced by mood, conditioning, expectations prior knowledge about the procedure or, sometimes, even such simple things as a warm human touch. Then there’s always reporting or confirmation bias when judging pain severity. In addition to this, patient group were heterogeneous. Take all that and you might have a study that tends to overestimate the effect of the intervention. improving function in patients with chronic low-back pain”. Thanks Donatas that’s really constructive and useful. Thank you for your feedback! You raised some very interesting and important points in your comments. The first point is something which I should have made clear in my original post: this is intended as an article review. That is, this post is simply to relay information presented by a specific article and NOT attempt to speak on behalf of a large body of research on the inclusion/exclusion of a treatment type. Translation: no one should use any single article to determine the effectiveness of manual therapy! As mentioned in your comments, article reviews or meta-analyses are much more useful for determining what the broad body of evidence is really saying. In addition, I willingly admit that there are shortcomings of this study, and you did a great job at pointing several of these out. In my time in school and also conducting research, I have learned that it is important to both critically analyze the strengths and weaknesses of published research. When we put this ideal into practice, it means that we willingly recognize the shortfalls of research and appropriately adjust the scientific weight the material should hold, while still recognizing the contribution that said piece of evidence offers. When applied to this specific piece of research, it is my belief that while this study may not offer evidence of high enough quality to be central to the argument for or against manual therapy, it should still be recognized for adding a piece to the overall puzzle. Surely, there are other treatments in which patients may respond more favorably. 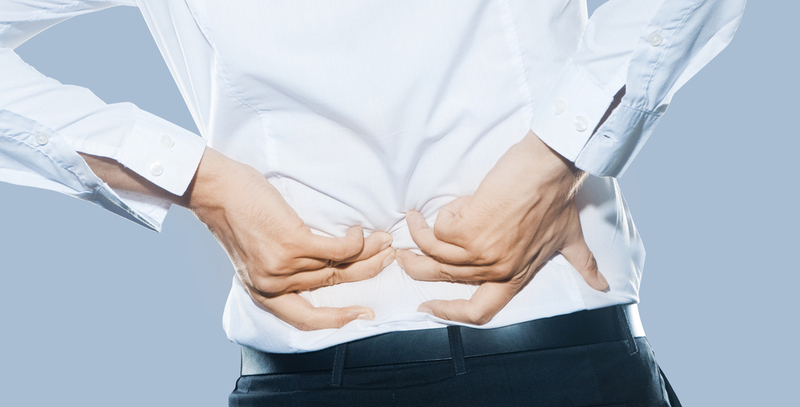 Low back pain is a general term that can encompass a variety of different impairments. LBP with mobility deficits, LBP with radiating pain, LBP with associated lower extremity pain, LBP with movement coordination impairments, and LBP with generalized pain are the classifications of LBP according to the “Clinical Practice Guidelines Linked to the International Classification of Functioning, Disability, and Health from the Orthopaedic Section of the American Physical Therapy Association.” That being said, treatment for LBP is patient specific. Some patients may benefit most from exercise, repeated movements, or modalities. However, manual therapy, including spinal manipulative therapy, is a viable option to decrease pain and increase function in patients with LBP. Thank you Andrew, for your evidence based review. Keeping a treatment as a viable option not necessarily means that it is effective, it might only mean that there aren’t enough evidence to support or dismiss the efficacy of that intervention. Nevertheless, my point was not about the effectiveness of manual therapy for LBP, but about the overestimated efficacy of the reviewed study and possible implications to our readers. I found that misleading. Excellent! Then we have a point of agreement – this study has shortcomings and may not offer evidence of high enough quality. That was my main issue with your review, because you seemed to overestimate the possible implications of this study and skip through the errors, sometimes even presenting them as advantages (like the sample size). In this case, I don’t want to seem picky or dismiss the work you’ve put in to reviewing this study, but, if you take an article that is of not the best quality, and might not actually represent the general consensus about the effectiveness of an intervention (might not even be “a piece of the puzzle” anymore), why review it at all? If it’s simply because you found this study interesting, then it would be okay as long as you also emphasized the disadvantages of the study together with the advantages. Avoidance of bias is very important. Thank you this discussion, looking forward to more posts about such interventions. The most important thing in S4BE is to learn from each other! Manual therapy is effective to some people. I know one who has undergone regular massage and he tells me that it helps lessen his back discomfort.